We NEED new monthly donors this week. 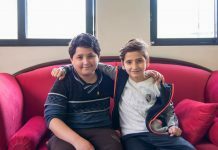 Help us bring more activities to refugee teens. The bus leaving from CRP’s main building had barely pulled off before the driver turned on the music, and what seemed like a quiet bus ride erupted into rhythmic claps and singing. The teenagers are excited. CRP hasn’t been able to buy enough skateboarding pads and helmets, or to provide transportation to the skate park for months. 7Hills Skatepark was built a little over two years ago in collaboration with Make Life Skate Life and volunteers and contributions from all over the world. 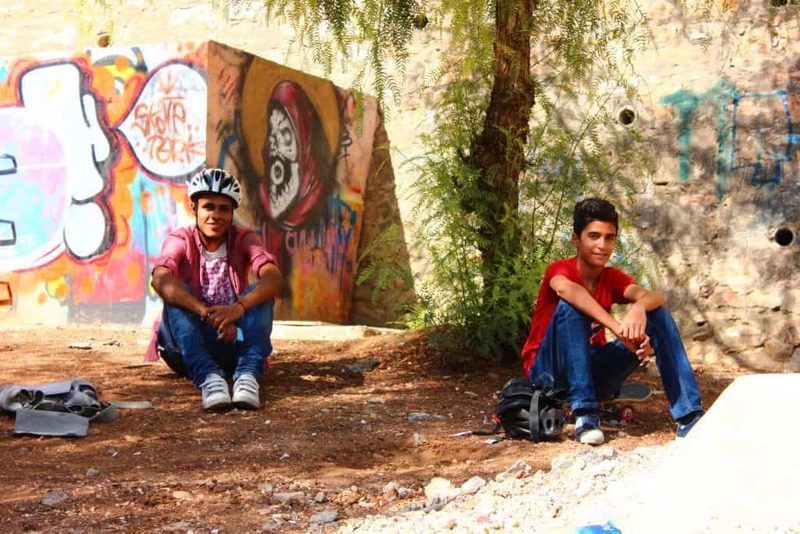 Amman’s first skatepark opened to much fanfare and media coverage. It was an example of what private donations and a dream can help accomplish. A teen shows off for the camera, managing to catch some air. But when we arrived, it looked as if the park hadn’t been used in a while. Leaves, broken bottles, and tiny rocks that can send skaters flying littered the park. 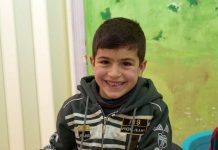 “It shouldn’t be this way,” said Altair, one of our beneficiaries. It didn’t seem to bother the other teens much, as they along with Altair and CRP’s volunteers quickly grabbed brooms, and began to sweep away the trash. We all remember the boredom associated with being a teenager. But for most of us, a friend or park were likely a few blocks away. 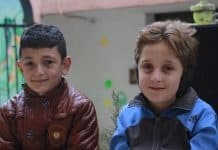 For these kids, many of whom don’t have money for transportation, boredom can be a constant battle. And the neighborhood of Hashemi Shamali can start to seem like a prison. 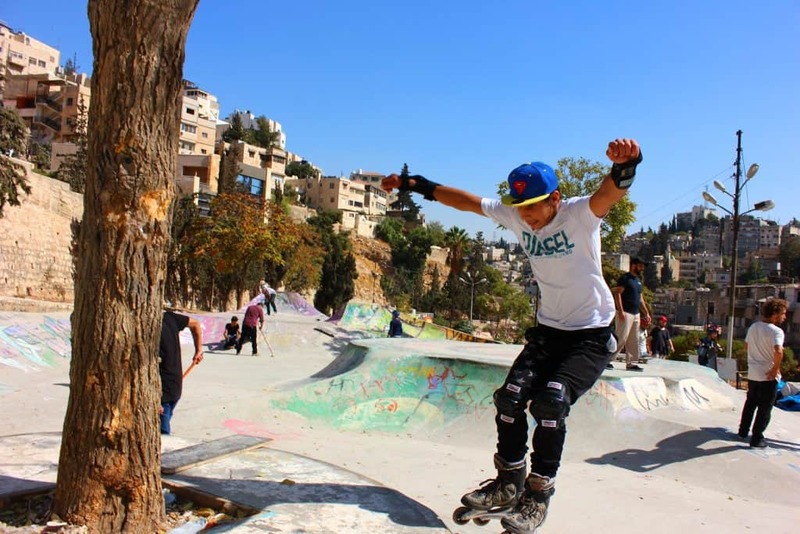 Volunteers from 7Hills were on hand, including the man who originally had the dream to build a skatepark in Amman, Mohammed Zakaria, to pass out loaner skateboards and give free lessons to the teens. Essam (far left) and his friend watching the other skaters. Sudanese refugees, Syrian refugees, Iraqi refugees, and Jordanians all congregate to the few public spaces available in Amman. The mixing and mingling helps both communities understand each other’s needs. Essam, an 18-year-old from Iraq, credits CRP’s program and others like it for helping him meet new people after arriving in Jordan. “I didn’t know people my own age when I got here, most of my friends I met through CRP and other NGOs,” he said. One of the first people he met after fleeing Iraq was a brother of one of the girls skating that day. Altair informed me afterwards she was probably one of the best skaters in the group. This is another important dynamic the skatepark offers. “The skatepark is an open public place where everybody is equal, which is good for girl’s participation,” said Wavters. Essam didn’t skate that day, preferring to just hang out with friends, while watching the other skaters. He hopes to one day become a famous soccer player. Of course, he said he would settle for being a personal trainer if that doesn’t work out. He did have one other modest dream he expressed to me while we sat under the trees, and watched his friends skate. “I wish to see all people in stability, I wish to see everybody happy and content. I don’t want to see anybody overwhelmed by concerns or worries,” he said. It takes us $36 to bus our teen group to 7Hills Skatepark or other activities outside of our neighborhood. Become a Partner in Repair today and help us incorporate more Skateboarding into our Saturday activities.